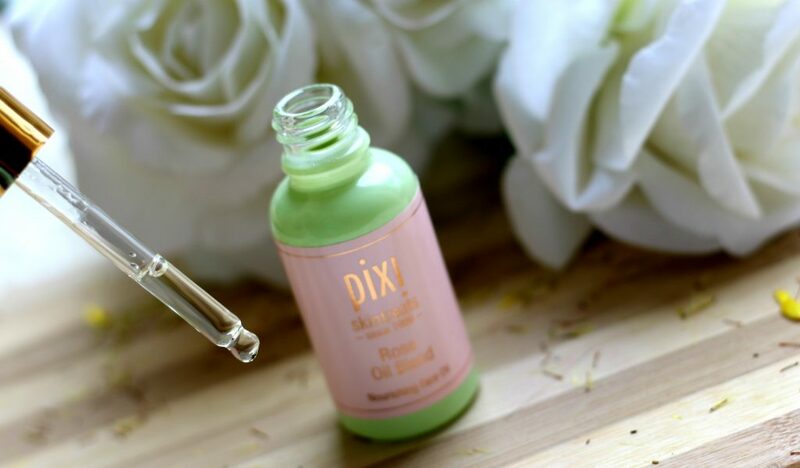 A luxe, ultra-nourishing oil that has become part of my daily skincare routine! 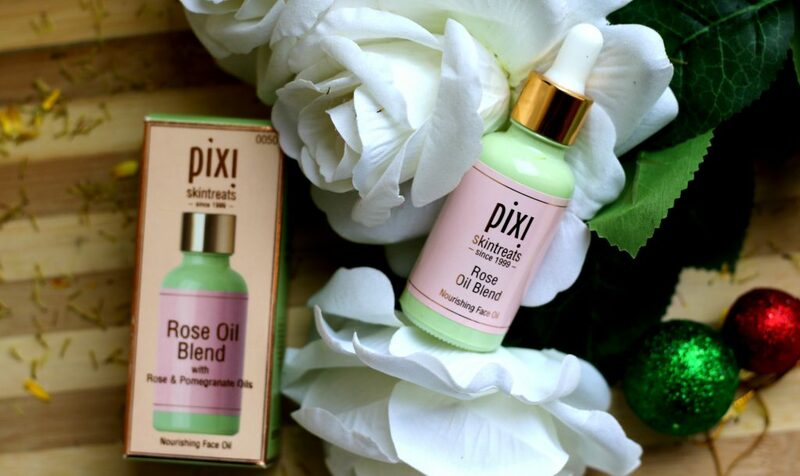 A luxurious face product that is infused with Sweet Almond, Rosehip, Jojoba, Pomegranate Seed and Rose Geranium Oils, which leave your complexion nourished, comforted and smooth – Pixi Beauty’s Best seller has become one of my favorite skincare product ever since I started to use it. It leaves the skin much comforted and after massaging the oil really well onto your skin- your skin feels so soft to touch and rejuvenated. This is post is all about this wonderful product. 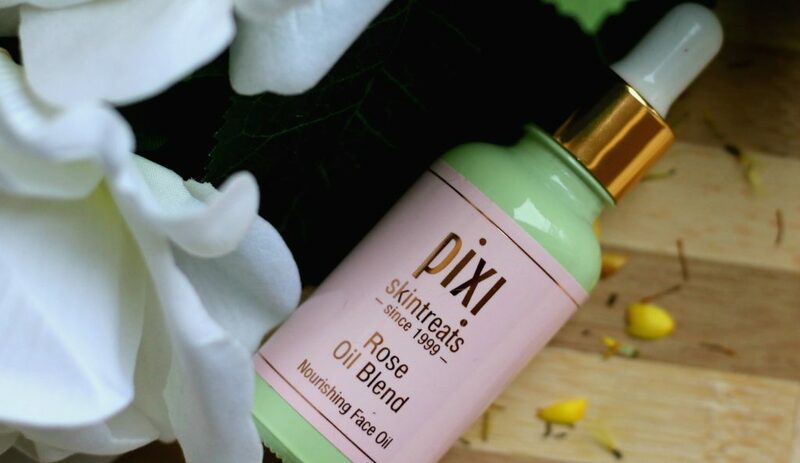 A luxe, ultra-nourishing oil that rejuvenates, restores and renews skin’s luminosity. 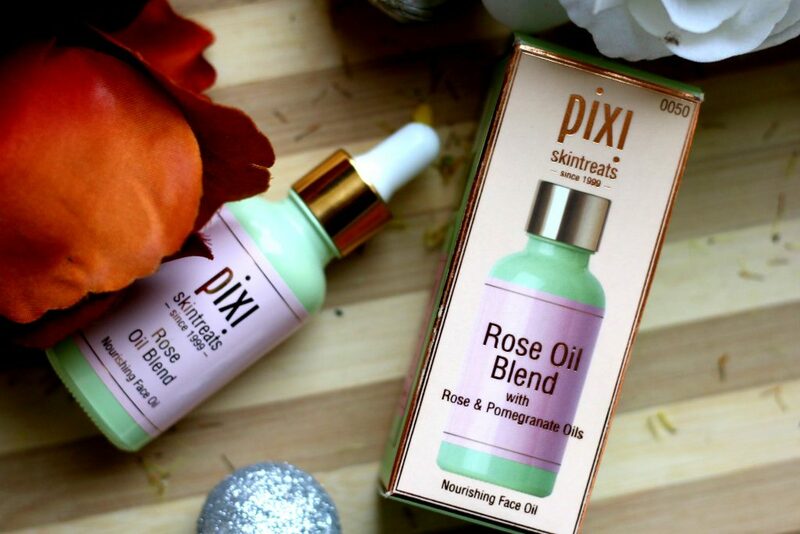 A delectable silky serum, Pixi’s stunning Rose Oil Blend is infused with a powerful complex of youth-boosting oils to enhance elasticity and leave your skin luminous. The packaging is very pretty. 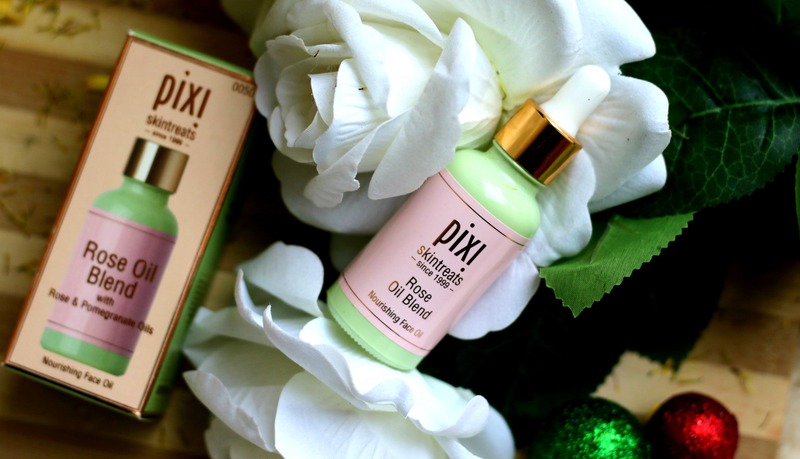 The green color casing which every pixi beauty product comes in. It is so simple and the glass dropper makes it easy to dispense the right amount of product everytime. I got really attracted to it over the “ROSE” label on it- that it is infused with Rosehip and it smells of roses. Being the ardent rose lover I am I got really intrigued by it’s mountain rose smell. 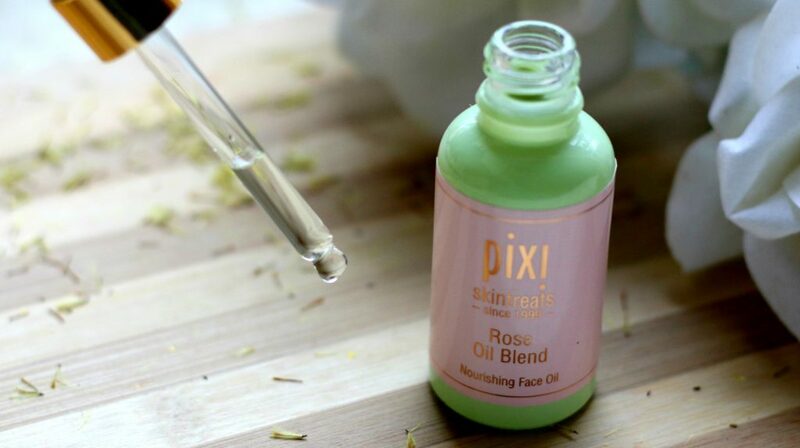 Now, what all blends Pixi Rose oil is made of – Rejuvenating and regenerative, the cocktail of sweet almond, rosehip, jojoba, pomegranate seed and rose geranium oils smells delectable – and deep-conditions your complexion; fortifying its fabric to promote resilience, refine skin texture and quickly recapture lost radiance. 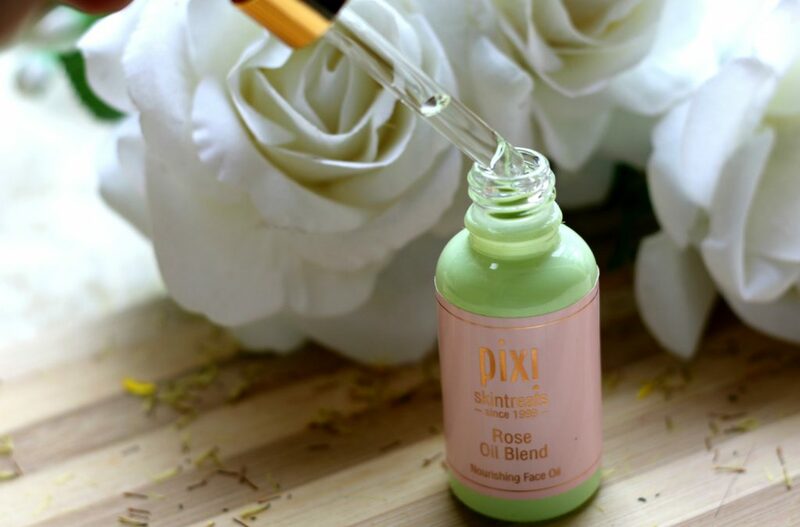 rose hip oil – Correct dark spots and hydrate dry, itchy skin. Helps reduce scars, wrinkles and fine lines. jojoba oil – controls acne. Acts as an anti-inflammatory agent, soothing the irritated skin. 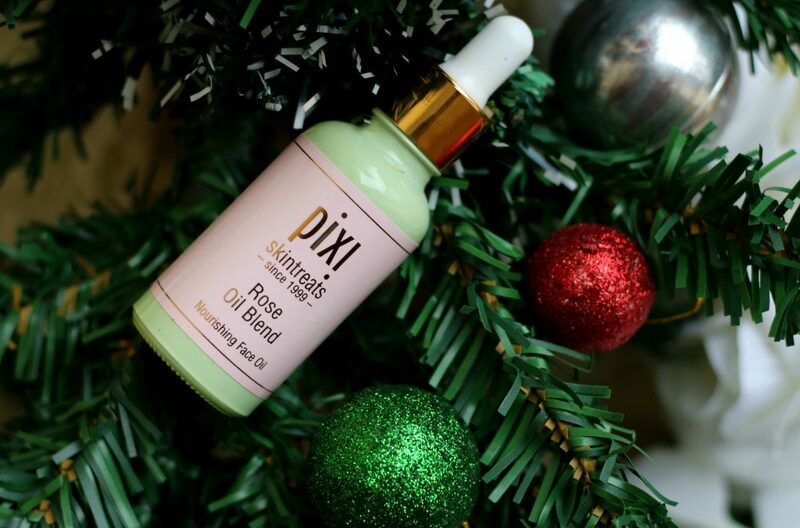 pomegranate seed oil – Improves skin texture and restores skin health. rose geranium oil – uplift the mood and spirit. helps unclog pores. promotes healthy and radiant skin by treating acne, reducing skin inflammation etc. This is a really smooth oil that blends out easily on the skin. 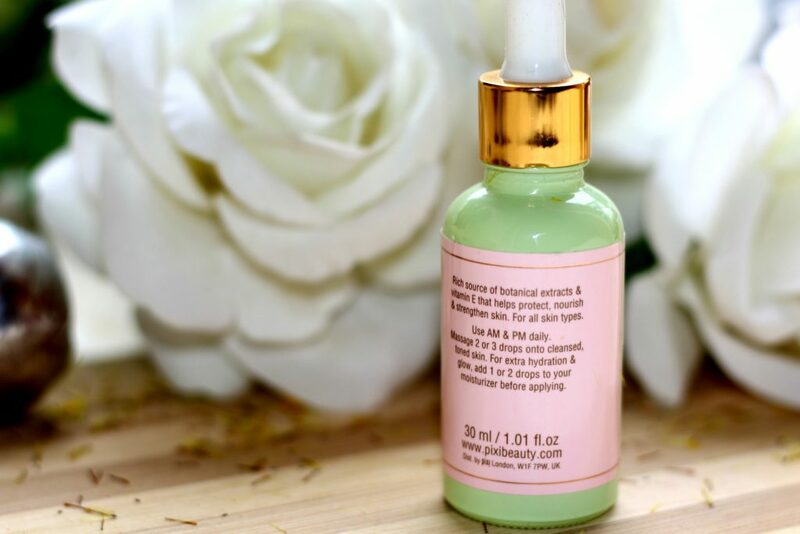 It’s very nourishing and hydrates the skin all day long. It absorbs into the skin fairly quickly and leaves a glow, rather than greasiness. This is fine for wearing under makeup. I actually find that my makeup goes on a lot better and doesn’t show up dryness when I’m using this. Now, there are different ways on how I use this face oil. I use it both during day as well as at night. I take about 5 drops and gently massage it onto my cleansed and toned face. After massaging for about 2 minutes and go to sleep. Another way I use it is adding 2-3 drops to facial moisturizer/cream – It gives that hydration & glow to my skin. Perfect for massaging into the skin or adding to your moisturiser, the nourishing face oil features a botanical blend with a powerful complex of youth-preserving oils. The skin is rejuvenated with improved elasticity and a youthful glow. I use it most of the time during day and night. Even to help blend my foundation, I add few drops of this. It’s so so moisturising on my skin and it actually got rid of the dryness I had on my chin and forehead area. I love how easily it gets absorbs into my skin. No residue at all if the right amount is used if that even makes sense! I hate it when my face has an oily residue. 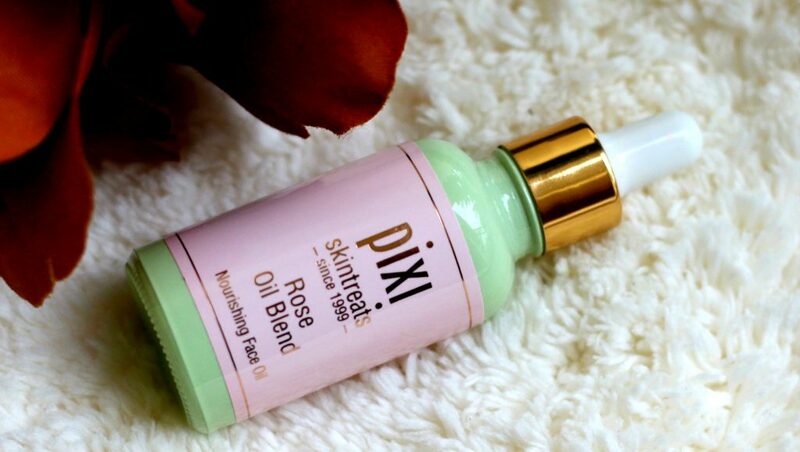 When applied at night, I wake up everyday feeling fresh and for those ardent Rose-holics! – You all are gonna embrace the Rose-ness of this – these really smell like ‘roses’. After continuous usage for over a month now, I emptied one bottle and already repurchased a new one! I am sold for life!! This product is a must have! 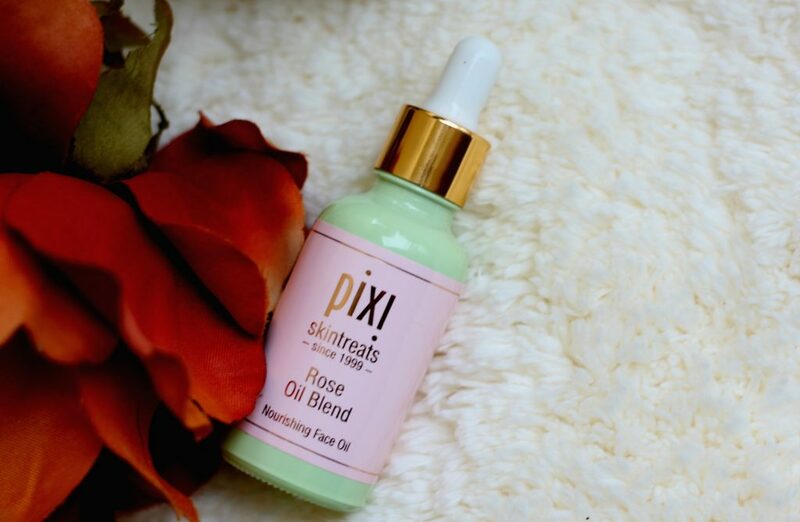 Skin feels really even toned and fresh.Love the light-weight feel of this oil. It’s not a heavy oil. Pleasant smelling, sinks into your skin. Improve skin tone with regular use. Calm down redness and acne and also help lighten the new acne scars that you might have. Overall, a great product that suits every skin types. Prunus Amygdalus Dulcis (Sweet Almond) Oil, Rosa Canina Fruit Oil, Simmondsia Chinensis (Jojoba) Seed Oil, Tocopherol, Pelargonium Graveolens Flower Oil, Rosa Damascena Flower Oil, Punica Granatum Seed Oil, Citrus Aurantium Dulcis (Orange) Peel Oil. 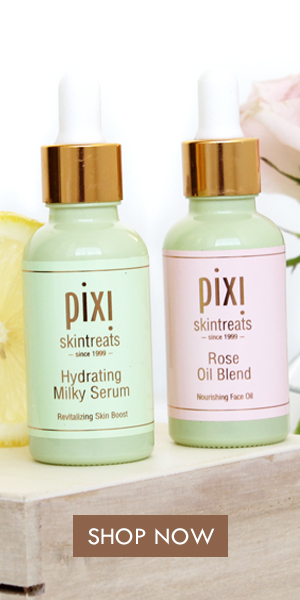 Priced at USD $24.00, this is available for purchase online at PixiBeauty US , Target, Cult Beauty. No matter what skin type you have, this is a gorgeous treatment for anyone concerned with dehydrated, dulled or sagging skin, this ‘feeds’ your cells and maintains moisture levels, so you look years younger and lit-from-within. Glow forth! What’s your favorite facial oil ? 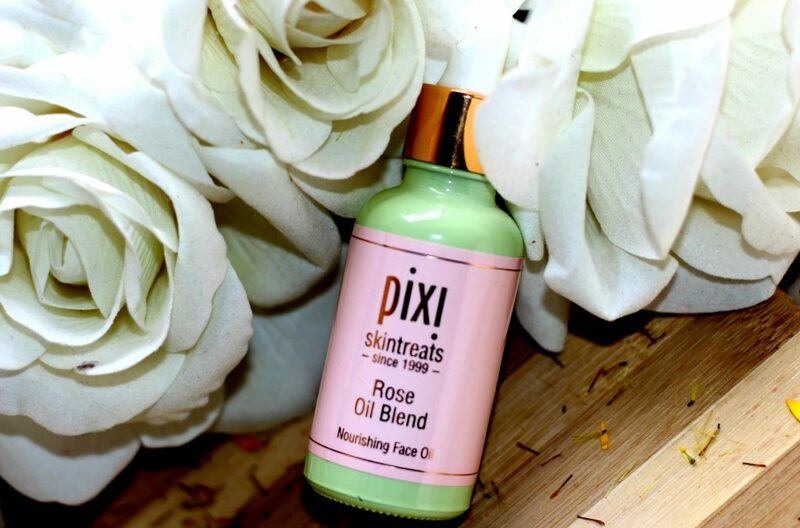 Have you used Pixi Rose Oil Blend before ? ** Product sent by brand PR. However my review is honest and unbiased as always.